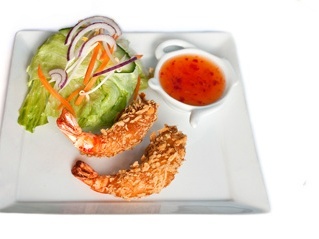 2 Fresh rice paper spring rolls with rice noodles, shrimp, chicken, fresh lettuce. 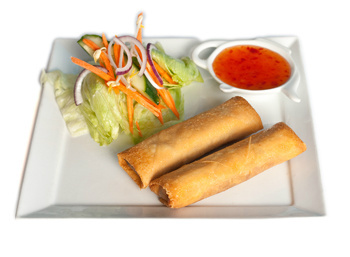 2 Vietnamese spring rolls with salad and sweet chili sauce. 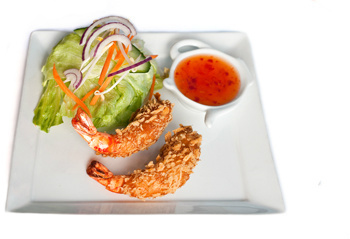 2 Baked scampi with salad and sweet chili sauce. 6 deep-fried pasta bites with salad and sweet chili sauce. 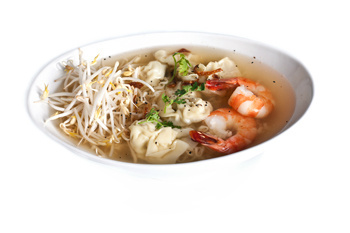 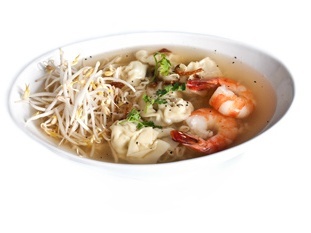 Chicken soup w/pasta, noodles and scampi. 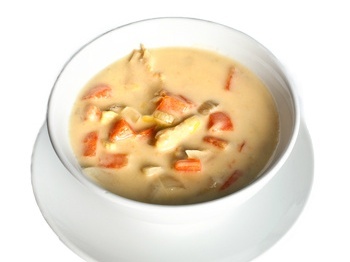 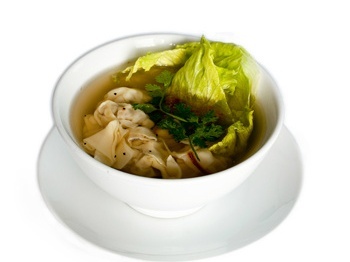 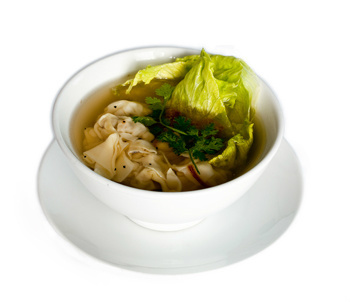 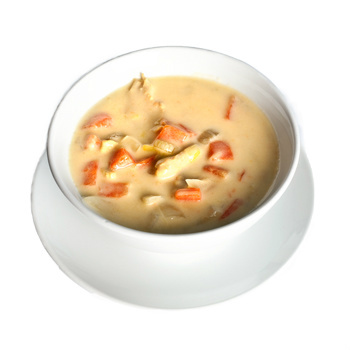 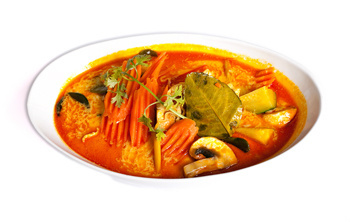 Chicken soup w/noodles, coconut milk, lime leaves. 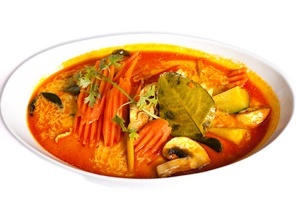 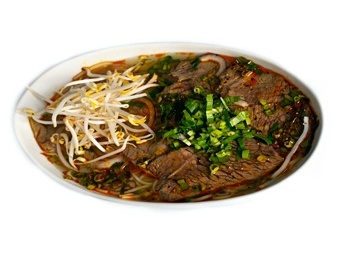 Rice pasta beef soup w/fresh vegetables. 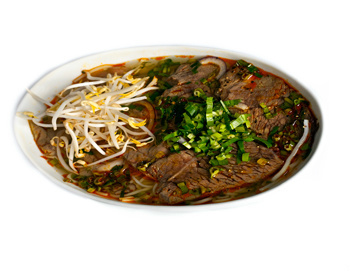 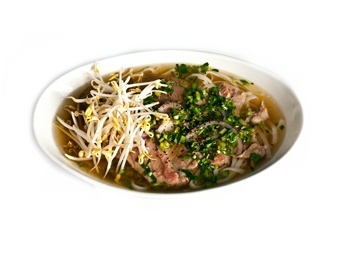 Rice noodles beef /pork soup w/vegetables. 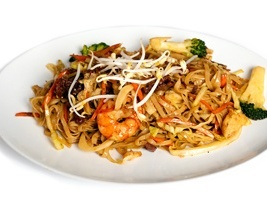 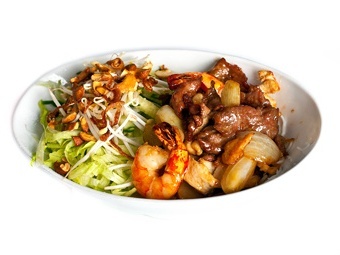 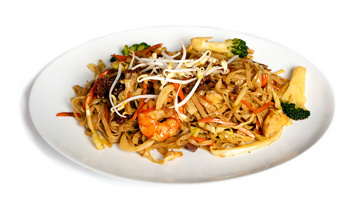 Rice noodles w/beef, chicken, scampi and fresh vegetables. 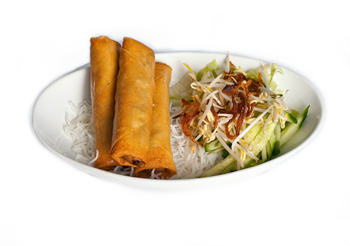 Rice noodles w/3 spring rolls, fresh vegetables. 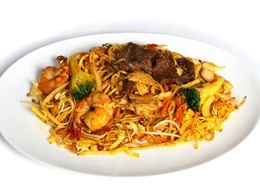 Fried noodles curry with beef, chicken and scampi. 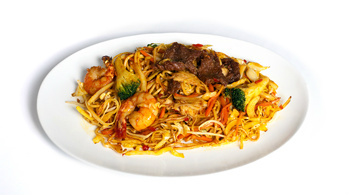 Fried noodles w/beef, chicken and scampi. 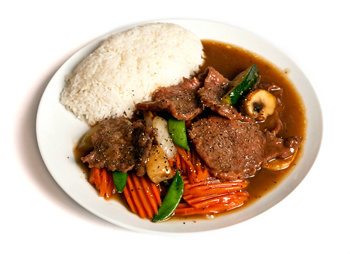 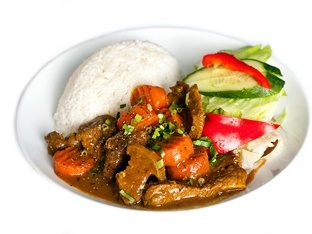 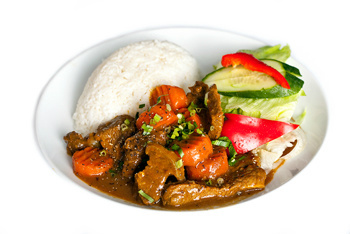 Beef in wok with fried rice deluxe. 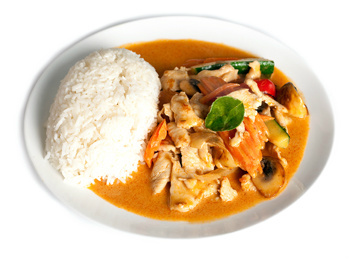 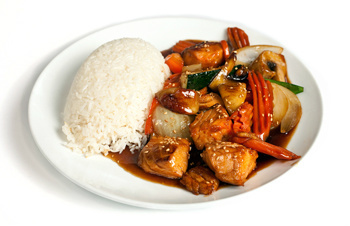 Chicken in wok w/vegetables, red curry. 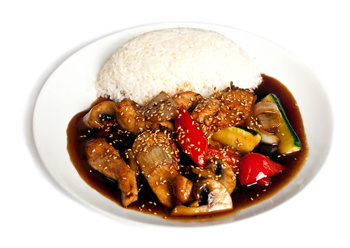 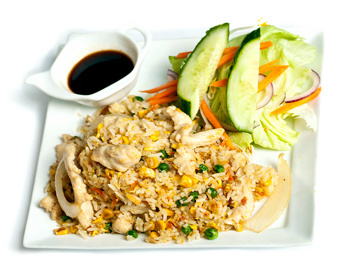 Chicken in wok w/vegetables, Teriyaki sauce. 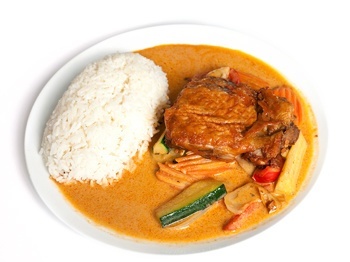 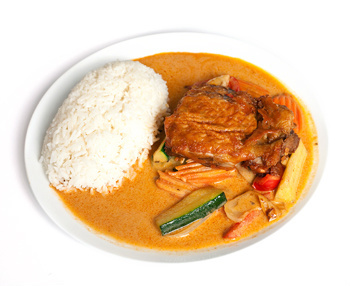 Fried duck w/red curry, coconut milk, lemon grass. 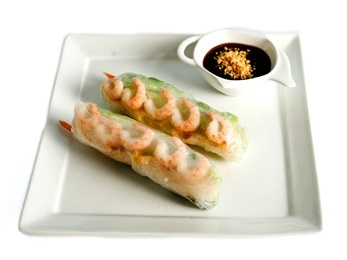 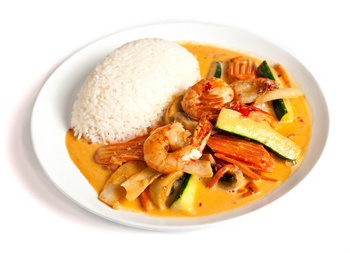 Scampi in wok with peanut sauce. 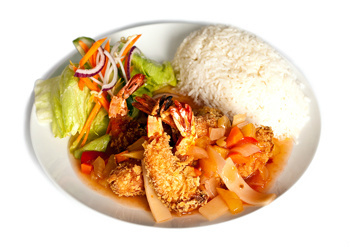 5 Fried scampi with sweet chili sauce. 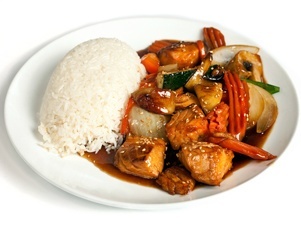 Salmon in Teriyaki sauce, vegetables. 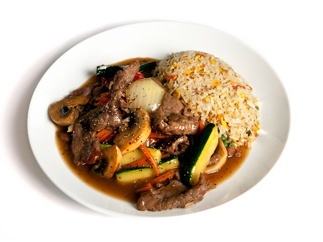 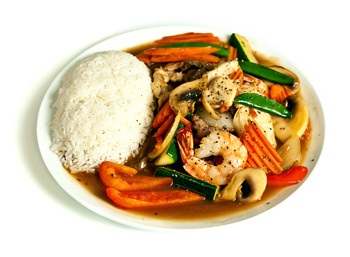 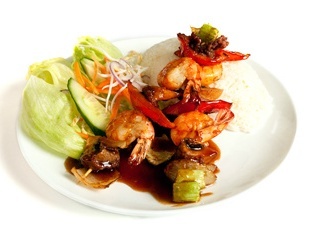 Beef, chicken, scampi in wok with vegetables. 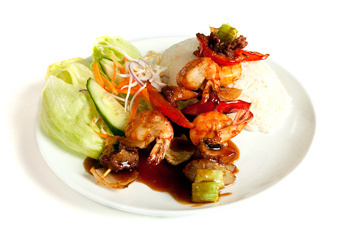 Skewers with beef, vegetables and tamarind sauce. 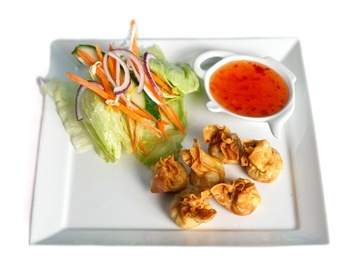 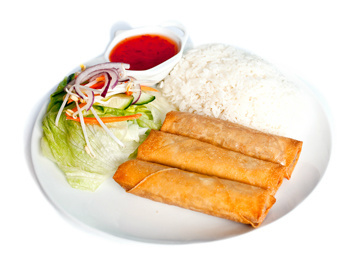 3 Spring rolls with salad and sweet chili sauce.